BLOODSPORT 7! 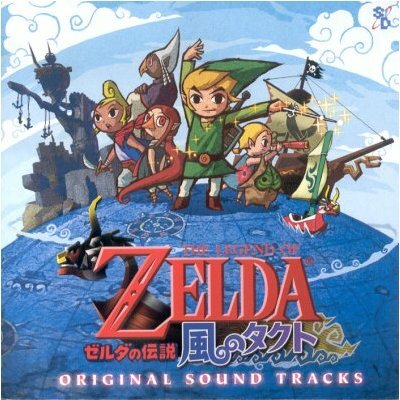 WINDWAKER REWORKED! ~ CRIMSON DAGGERS BLOODSPORTS! This challenge is focusing on the power of art direction and what it can do for intellectual property. After the overwhelming success of nintendo's Ocarina of time, the eventual follow up, Windwaker, was released. whether one likes or dislikes the game, its impossible to ignore the effect the drastic shift in art direction had on its international sales and reception. many people argued it was 'too childish', while others refused to even play it. and all due to art direction. We're not saying the design for Windwaker was bad by any means <3. Your challenge is to pretend you got the job to take the series in a new direction! however, you cant do whats been done before, or whats been done since. take one of the most recognized franchises in gaming to a new place! - Must contain all 3 of the series' standby characters. Zelda, Ganon, and Link. - image must contain Nautical themes! though you are altering the visual style of the game, the plot and world settings remain the same! oceans! - Leave room for TEXT! the title logo on the frontside as well as room for a paragraph size description on the back! While this contest IS a type of fanart, you CANNOT use the art direction of windwaker or the other zelda entries! the challenge is to take it somewhere bold and new, just as nintendo tried to do at the games release! consider markets, thoughtful design, and visual themes! so DONT look like THESE! - Studies must be provided and must be relevant to the character design and elements used in the illustration. COMPOSITIONAL SKETCHES are also REQUIRED with studies in order to be eligible! EXAMPLES AND TEMPLATES FOR HORIZONTAL DESIGN! Share your process with the group! 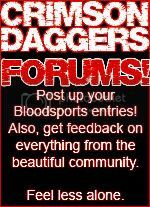 - Crimson Daggers Forum! Top 3 entries will receive live crits (via Crimson Daggers Dave Rapoza Livestream banner link above) from some kinda hot industry professionals! Oh, looks quite interesting, I hope to got time to enter! Just one correction... the game was actually very well received and was a comercial success http://cube.ign.com/articles/389/389019p1.html but I most agree that this was actually due to art direction. I think it's obvious Dan is speaking about general perception and fan reaction. Critics hardly speak for the general audience or even the fans, and given the game's intended demographic it was given to be a financial success. I don't think it's a mystery to anyone familiar with the franchise before this game's release that most people either hated or loved this game. It was extremely polarized. dont get smart people. its easily the most polarized entry in the series, as to this day many wont play it due to the style. also, if you think it did super well, check this link. it being a good game with good scores is not the point, its the reception of the art direction were talking about, which anyone must admit, on the grand scale, was mixed, at best. i love the game to, but lets be honest. its a contest, have fun. BLOODSPORT 6! MONSTER HUNTER CHALLENGE!